Superdry women’s Chrome hooded Fuji jacket. 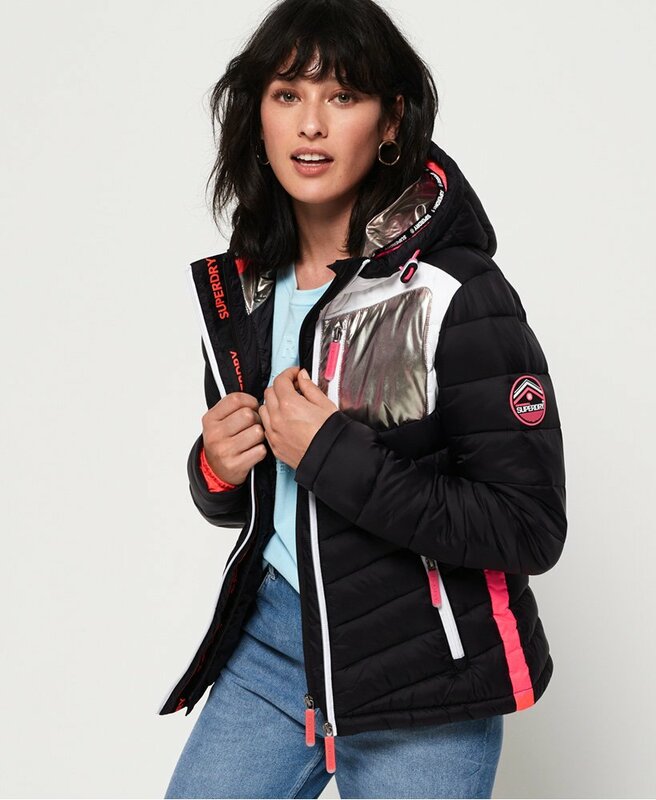 Rock a splash of colour this season wearing the chrome hooded Fuji jacket, a lightweight yet comfortable jacket that is a great trans-seasonal piece for your wardrobe. This Fuji jacket features a double zip fastening, a bungee cord hood and elasticated cuffs. In addition, this jacket also has handy zip pockets and flattering chevron panelling. To decorate, this jacket has been completed with Superdry banding in the hood, zip pulls, on the placket and a Superdry badge on the sleeve.